Treasure Island Music Festival returns for the 10th year on October 15-16. 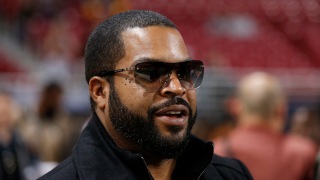 Headliners for the two-day concert include rapper/actor Ice Cube, who will stage an N.W.A. reunion of sorts with the help of members MC Ren and DJ Yella, and Iceland's Sigur Rós, a band expected to perform brand new material. Event organizers Noise Pop have also booked popular Bay Area acts collectively covering a wide range of sounds: Tycho and Deafheaven are from San Francisco, while Day Wave and Kamaiyah are from Oakland. While the bulk of the lineup has been released, it is not yet known which acts will perform on each day. Two-day early bird general admission ($159.50) and VIP ($335) tickets go on sale on the official website on June 16.